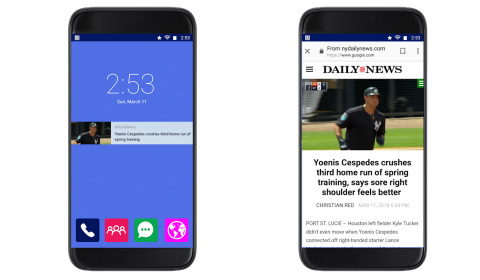 NEW YORK--(BUSINESS WIRE)--Today, Taboola, the leading discovery platform, announced it will partner with both mobile carriers and Original Equipment Manufacturers (OEMs) to power content discovery on Android mobile devices. 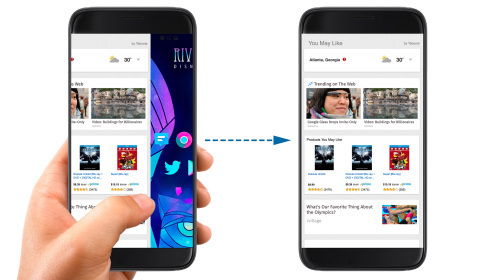 Taboola has partnered with ZTE, a leading mobile device manufacturer, to roll out its offering that creates a new revenue stream for the OEM while simultaneously opening a new audience source for Taboola’s premium publisher partners. “We create our devices to enable rich experiences that will engage users. From the moment a user wakes their phone, they are looking to engage with something and we want that experience to be personalized and tailored for each user wherever they may be in their day,” said ZTE’s spokesperson. “At the same time, Taboola's compliance with EU's GDPR (General Data Protection Regulations) make it one of the providers to maintain the highest standard for both user experience and privacy protection, which is exactly what ZTE is looking for."